While there is no conclusive evidence that separation has a damaging or lasting effect on your mental health, many experts agree that there is certainly a difficult emotional period following the separation that takes a long time to heal. Many experts cite the circumstantial differences of length of relationship, financial position, reason for separation and potential support as key factors in the positive mental health of the person in the long term. Even so, there is little to suggest that this can be predicted prior to the separation, as people that seem very strong and positive can crumble just as those who may seem weaker are able to gain a sense of strength and empowerment. It is certainly widely accepted that, at least for a period of time, the person who has experienced a recent separation will go through some very difficult emotional times. Feelings of vulnerability are common, particularly if the person feels like the situation is beyond their control, and this in turn can have a great impact on their confidence. The vicious circle then continues, as the person finds it harder to ask for help or support, or go about a normal daily life that could help their emotional recovery. Increased anxiety is also common, with people who have recently separated feeling uncomfortable going out in public. This can be for a number of reasons, with the most common being embarrassed to bump into people that they know and have to explain what has happened, or deal with people that already know, or being unused to being in social situations alone. Although the odd glass of wine or sleeping pill will not be the end of the world when you are going through a separation, an increased dependence on drugs or alcohol will not help a positive recovery, indeed, it can create huge problems in addition. 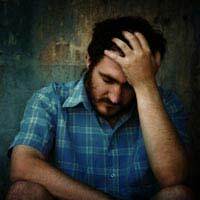 This can be a very difficult situation to police on your own as it can be almost impossible to know when a little bit of over-indulgence to deal with a tricky time has tipped over into dependency. One way to deal with this is to ask someone you trust if they think you have a problem and to write down exactly what you take/drink in a day. It is also imperative to stop if your habit is in any way affecting your children, job or ability to drive when needed. With around one in four people experiencing depression at some point in their lives, going through a period of mental health problems is certainly nothing to be ashamed of – in gaining the right help as quickly as possible you put yourself in a far better position to be helped. The first stop when you are feeling low should be your GP. Without sounding flippant, they will have seen it all before, so whatever you tell them will not be a shock. Far better to ask for help as quickly as possible than to allow the situation to get worse – there is a great deal of free and affordable help available and it will play an important role in your long-term acceptance of your recent separation and your long-term positive mental health.